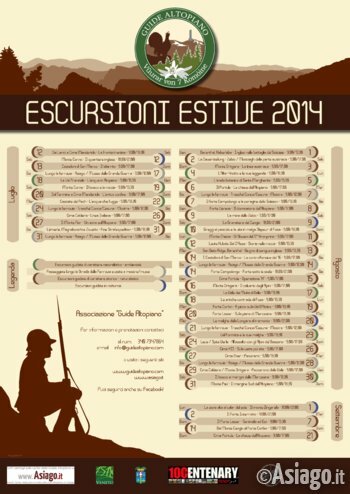 The Plateau Guides propose the hike to the Valle dei Mulini, the Asiago plateau, Monday, August 18, 2014. The meeting is set to 09.00 at the ice stadium of Asiago, 09.15 hours at the Office of tourism of gallium and 09.30 at the Church of Foza. Foza is situated in the eastern side of the plateau of 7 municipalities, between meadows and Woods. The hike proposal, has the aim of enhancing the contrade of this municipality, details from the point of view both historical and landscaped. One of these is, in fact, the ancient Church of St. Francis of Assisi built in 1648 by the hermit Fra Francesco Galesino. Destroyed in 1915-1918 it was rebuilt after the war. But other countries are interesting for the pastor's job that took place primarily in this municipality. Famous is the testimony of the existence of a native sheep, the sheep of Foza or Founded, sought after for its particular lana described as "the finest and most precious of all lane produced in Northern Italy". 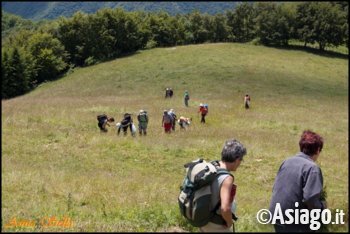 The hike is simple and suitable for children and families who want to spend a nice day immersed in nature of Foza! Scheduled departure at 9.00 from the ice stadium of Asiago, 09.15 by gallium tourist office and at 09.30 from the Church of Foza.